When a woman hits 25's, our skin starts to change possibly due to our hormonal changes. I am not talking about menopause here. Too early for that. If you haven't been exploring into beauty products of moisture range, you better start now. I actually realized this the hard way because it is noticeable my skin isn't as clear as it used to be. Not that I have good skin complexion in the younger days, but definitely better. Acne doesn't come that easily in the past. Have I done anything particularly wrong that results in this? It could also relate to my lifestyle (exercise and the food intake which I am taking into consideration), but skin care plays a huge role as well. Definitely don't want to look older before our age, don't we Ladies? 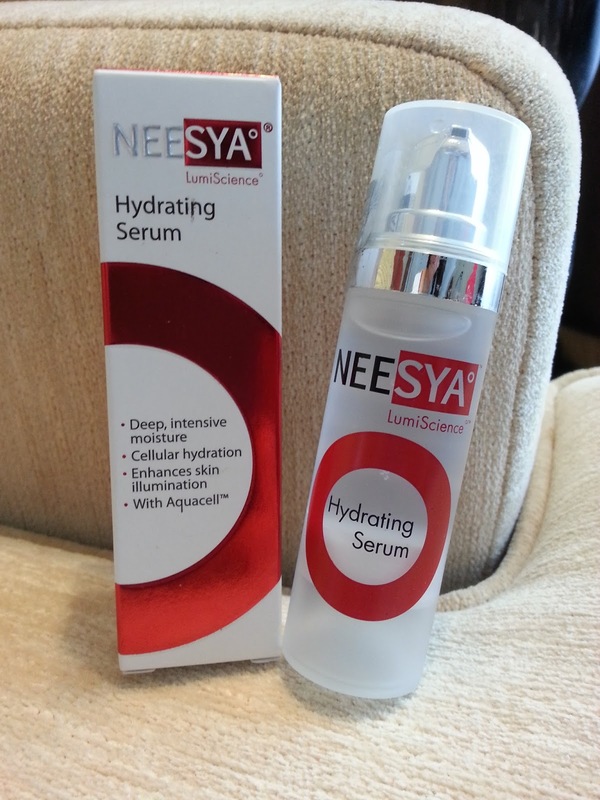 When NEESYA offered me their hydrating series, I was over the moon. The last time I used their products was mainly basic products used by people who do makeup alot. I am talking about Makeup Remover, Enzymatic Refiner, Overnight Mask and Illuminating Essence. If you are interested to know more about them, you can view them HERE. I am so excited that I even brought the Hydrating Series along on my weekend escape to the Intercontinental Hotel! Tried them over a month and here are my honest reviews! Surprisingly, I like the fragrance of this skin care product range. It is milder compared to the earlier skin care products that I have tried. Ladies of our age would like this because it is gentler to our noses. 1. Use after cleansing and toning. Apply 2 pumps onto palm and spread evenly over face and neck. 3. Apply twice a day; morning and evening. This intensive hydrating serum contains 3 main ingredients; Silver Vine Extract (anti-oxidant, anti-Free radical and inhibits production of melanin), Acquacell (Immediate hydration within 15 minutes and smooth out fine lines) and AcquaBiomin Gem Blend (Enhance skin radiance, hydration and absorption of ingredients). Initially, I thought they spelled Acquacell wrongly because the Aquacel I know is used in wound management. After I did some research, Acquacell is actually a natural complex combination of watermelon rind extract, Lens Esculenta (Lentil) fruit extract and apple extract. I love the scent because it is gentle to my nose. 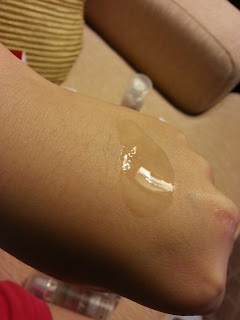 It has this mild floral-like which reminded me of baby product like baby shampoo. Texture wise is like any other serum out there and it is non-oily! After application, there is no burning or tingling sensation on my face, so that is good news. I know it is working well because it reduces my acne formation and pore size with all the hydration it provided :) This serum lasted me more than 2 months, so it is definitely money value. 2. Apply an even layer of moisturiser onto face and neck, followed by UV Shield SPF30 PA+++ in the morning for sun protection. Ingredients are Silver Vine Extract, Carbohydrate Complex (Improve skin smoothness and reduce flakiness) and Silanol and Brown Algae Complex (reduces fine lines, protects against free radical, controls skin inflammation and ensures lasting hydration). 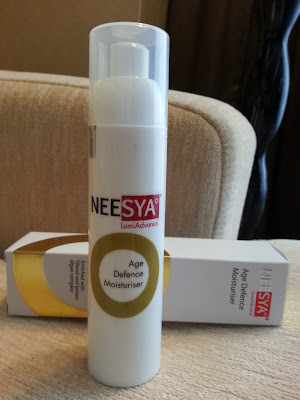 This moisturiser has a stronger scent compared to the above serum but in a nice way. Unlike most moisturiser, LumiAdvance Age Defense Moisturiser does not feel oily to the skin because it is quickly absorbed. The consistency is similar to LumiScience Hydrating Serum's.I have read some reviews from my blogger friends and most of them do not experience any particular discomfort. However, I felt slight warm sensation upon application, which is normal as that signifies the efficiency of the moisturiser. It provides lasting moisture up to 72hours with UV protection and is suitable for most skin type. I would advice to shake before use as I noticed there is 2 different constitution when I press the pump. Definitely more hygiene than most moisturiser in pot packaging. NEESYA LumiScience are available at outlets in Subang Parade, SACC Mall, Plaza Metro Kajang and The Mines.